Thank you for your interest in partnering with Whole Foods Market. All sponsorship and donation resources for the first half of 2019 have been committed. We will begin accepting applications for resources for the second half of the year on June 1st. Please check back then to learn more about our Community Giving Program and to apply. In the meantime, one way you can access support for your local community is through Whole Kids Foundation. 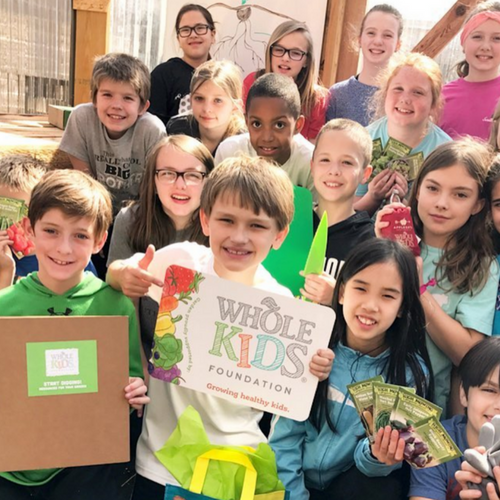 Whole Kids Foundation provides schools with salad bars, garden grants and other resources that support schools and inspire families to improve children’s nutrition and wellness. Thank you for your continuing partnership and commitment to keeping our communities healthy and strong.